Yeah, but: I still want a new Gorillapod. 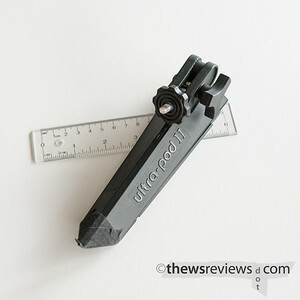 The Long Version: It's easy to take things for granted when they're inexpensive, lightweight, and plastic, and that's what I've done with my 'Ultrapod'. Officially the named the Ultra-Pod II – it's moulded into the product – the name of the actual manufacturer seems to change depending on who you ask. The Ultrapod is ideally suited to small SLRs or the typical mirrorless camera, which it holds quite well. The rather large footprint does a good job of compensating for its light weight. It's not suitable for larger cameras or longer lenses, though, since there's a bit of spring in it when it's feeling stressed. I've owned this little tripod for over a decade, and have carried it often enough that the silver paint has worn off. I've also lost the rubber anti-slip foot from the main leg, which has been effectively replaced with hockey tape. 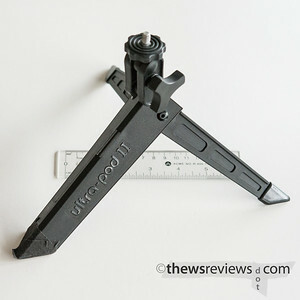 But like all of my tripods, I've never really intensively used it – they're for special occasions – but the ultrapod has always been what I've reached for when I want something small and lighter, if weaker, than my Manfrotto tabletop tripod. 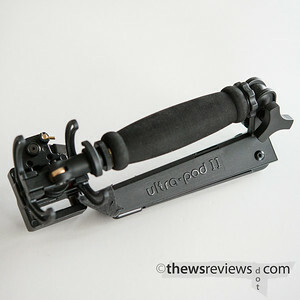 The Ultrapod uses a double-jointed attachement for the camera. The top is something of a ball joint, letting the camera pivot and rotate, although it has limited side to side movement, while the lower joint is only a single-axis pivot point. 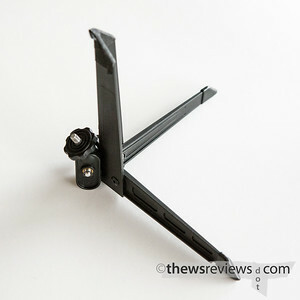 This double joint means that the camera, or whatever, can lie flat on its back along the body of the folded tripod. That's a rare thing to need, but it solves an uncommon problem for me. I use a shock mount and grip bar to hold my audio recorder, and the Ultrapod screws onto the end of it. It adds almost no weight, holds securely as long as the recorder stays centered, and folds over on itself to fit in the bag. So after all these years of owning it the Ultrapod is finally in regular service, doing a job that no other tripod design could. What can I say? I execute excellent planning, even when it's matched with lousy timing.